This Neon T-Rex Is Here to Party. Not Eat You. It's a bird! It's a plane! 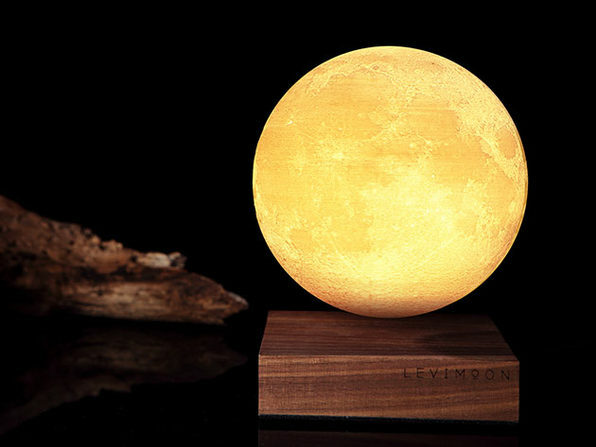 It's... nope, it's not either of those things, it's a dinosaur light! 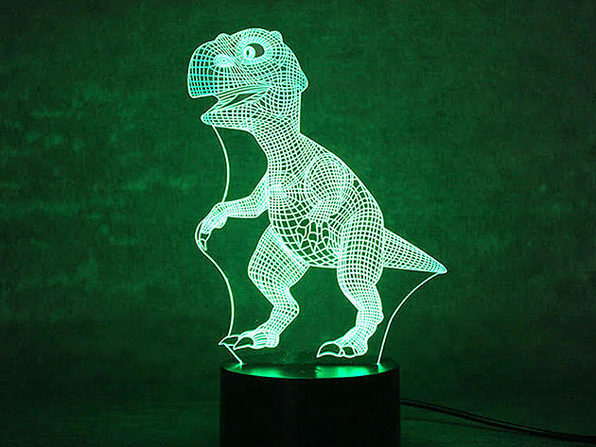 This neon T-Rex will bound out of the dark to add some groovy ambiance to any room in your home. 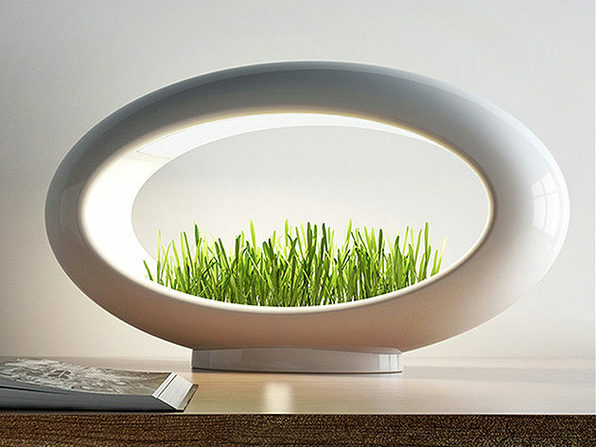 Fixated on a dark base with a plexi-glass design, this 3D light will appear to be floating as it jumps between seven interchangeable colors at your choosing. Scared of the dark? 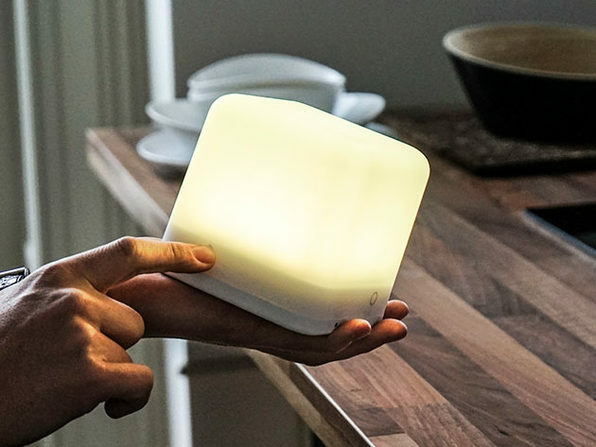 Turn on this luminescent buddy and you'll have nothing to fear! Dinosaur dimensions: 10.1" x 6.5" x 3.4"
Base dimensions: 3.4" x 3.4" x 1.69"